Jadon Sancho is guaranteed to remain at Borussia Dortmund next season, according to the Bundesliga leaders' sporting director Michael Zorc. 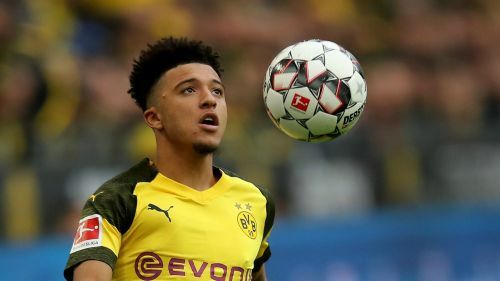 Ex-Manchester City youngster Sancho has been in magnificent form for Dortmund this term, scoring four times and supplying six further assists in Gemany's top flight. The 18-year-old winger's performances earned a full international breakthrough with England, prompting reports that his former club and Barcelona head a growing list of admirers. Asked by Bild whether he could guarantee the teenager would remain at Signal Iduna Park beyond this season, he replied: "Yes, because he is still a very young player and there are absolutely no signs [indicating there will be] a transfer. "Jadon knows very well which club led him to the English national team. And he said himself, numerous times, how comfortable he feels with us." Last month, Zorc stated City have a "matching right" should any offer come in for Sancho but not a buy-back option.